Garage Equipment Online stocks the Crypton range of professional automotive servicing equipment, this listing features the Crypton Class seven ATL MOT bay, the Crypton brand is widely recognised as a market leader in the UK for providing a wide range of superior DVSA approved MOT equipment to large national chains and small family run garage workshops alike. 1x Crypton European Class 7 4 Post ATL Lift with UK Regulated 24v Control Box CE Certified. Available with 5.2 and 5.7 metre platform options, please state at point of order which model you require. Highly Attractive Finance Options Available, Spread the Cost of your Class 7 ATL MOT Bay with 100% Tax Deductible Easy to Manage Payments. Width to Outside of Posts 3230 mm. 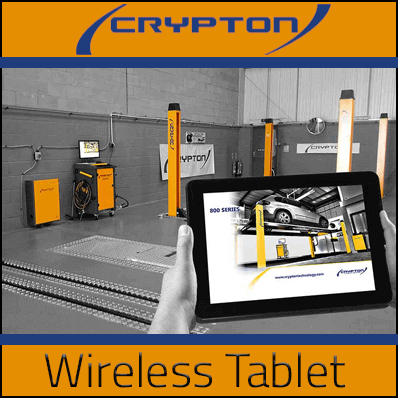 This wireless tablet is an optional extra and is usually priced at an additional £399.00 + VAT, when you purchase a complete Crypton Class 7 ATL MoT bay package from Garage Equipment Online we will include it for FREE!. 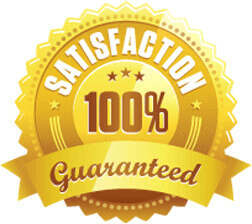 Crypton will provide you with your very own personally appointed project manager to assist you with the design planning and installation of your European and UK Manufactured Class seven Automated Test Lane MOT Bay. Your MOT Bay Installation project manager will also assist you in liaising with VOSA (Vehicle and Operator Services Agency) ensuring that the installation of your class seven 4 Post ATL Lift MoT Bay runs as smoothly as possible from call to install. Crypton MOT Bays quality and professionalism ingrained into every detail, to order your class 7 ATL MOT Bay call Garage Equipment Online Today on +44 (0)151 601 4945.